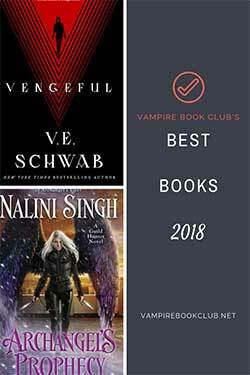 Note: While this review will be spoiler free, it will reference the previous book. If you haven’t started this series yet, check out VBC’s review of book 1, Heartstone. After the defeat of the Greater Lindworm during The Battle of North Fields, Aliza Bentaine, now Daired, and Alastair are enjoying their honeymoon, and settling into married life, of which Aliza is not finding an easy transition. It’s all too soon before Alastair and his dragon, Akarra, are called away to hunt down an unknown evil plaguing Castle Selwyn in the northern border of Arle that seems to be specifically targeting Idar—creatures indifferent to humans (i.e. not enemy and not friend) such as trolls, centaurs, and merfolk. Not one to be left behind, Aliza accompanies Alastair and Akarra. The journey to Castle Selwyn proves to be difficult for the trio leading them to believe that something may be following them in the shadows. This is further exacerbated when they arrive at the castle and discover more is going on than meets the eye. It’s possible evil hasn’t been defeated after all. Right away I was very satisfied with how Dragonshadow moved the story out of the constraints of its Pride and Prejudice roots. Don’t get me wrong I loved the unique retelling of the classic, but I also felt like it kept that storyline in Heartstone following a preset path in order to fulfill the retelling aspect. 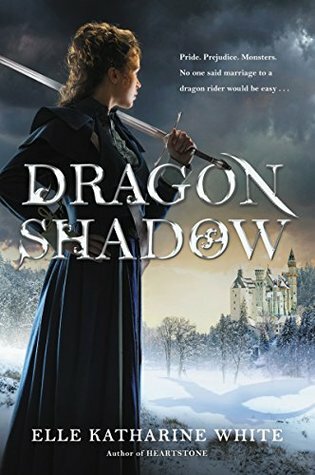 Dragonshadow expands upon the world, characters, and fascinating creatures that I loved so much from the first book and is does it in such a way that sets up truly exciting things to come. Dragonshadow does such a great job of highlighting the whole “what comes next” after the seemingly Happily Ever After. It’s not something we see too often. Typically, once our characters reach that point, it’s the end. I found myself missing characters from Heartstone, mainly Aliza’s family and all the creatures residing in Hart’s Run. It’s clear that this puts the readers into Aliza’s mindset as well because she’s struggling with understanding her place within House Pendragon. Despite being instrumental in the defeat of the Lindworm, Aliza is still looked upon as a nakla, a non-warrior, as well as trying to live up to the expectations of being a Daired and all the history surrounding the name. It’s not just Aliza. Alastair, too, is dealing with the after effects of the battle; feeling as though he’s less-than he used to be, and not knowing how to adjust to accommodate his new family. 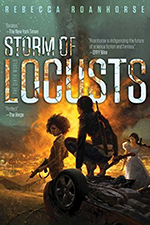 All the while the hunt for the supposed Tekari responsible for the deaths of the Idar opens a whole unforeseen set of problems that are so much worse than the worm. I thought that Elle Katharine White did a great job of connecting the shadows of evil on the horizon with the initial conflict in Heartstone. There’s a secondary conflict which confuses itself with the bigger threat for a bit and there are definite places where it feels a bit too congested, but I loved the showcasing of all the new and different supernaturals, and how much the world of Arle is expanded. Dragonshadow really pushes the series into a new and very interesting direction, exploring new territories. Aliza and Alastair’s fight is not over by any means, and however threatening this unknown evil becomes I know they’ll face it together.